British actress Emily Blunt has definitely enjoyed a growing reputation in Hollywood over the years, showing her diversity as an actress by appearing in all different types of genres during the course of her impressive movie career. While we are all excited about finally getting to see Emily appearing on the big screen in the upcoming movie Mary Poppins Returns, there is another movie we would all love to see her in. Emily Blunt played the role of Emily Charlton in the hugely impressive 2006 movie The Devil Wears Prada and there have been some rumours about a possibly sequel being made in the near future. Emily has now been talking about returning for a sequel, admitting that she would definitely be interested as long as the likes of Meryl Streep, Anne Hathaway, and Stanley Tucci were all on board to return. Blunt was recently doing an interview with the guys over at Entertainment Weekly, when talk turned to the movie The Devil Wears Prada, with the actress being asked whether she would be interested in reprising her role for The Devil Wears Prada 2, to which she replied, "I mean, if everyone wanted to do it, it would be cool ... I'd be down." 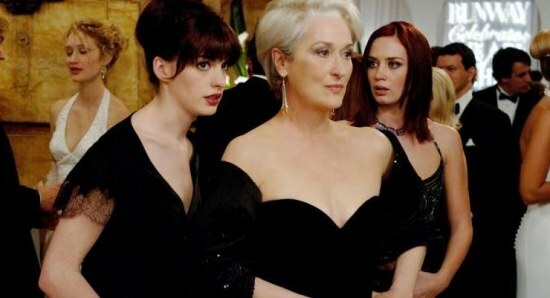 While it does not yet look like there is any chance of us actually getting to see a sequel to The Devil Wears Prada any time in the near future, it does seem like the project could be a possibility in the future, as not only is Emily Blunt interested in returning for the film, but Anne Hathaway has also previously admitted that she would be up for making The Devil Wears Prada sequel, as long as the story was good enough. We would not suggest holding your breath over this one.